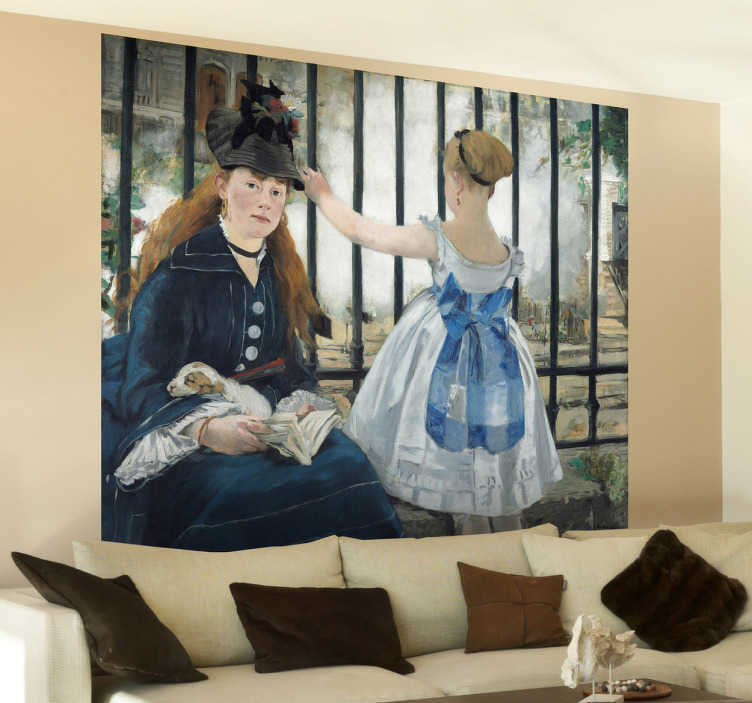 A brilliant wall sticker with a design of a famous painting by French painter Edouard Manet. 'The Railway', which depicts a woman and a little girl sitting beside a train station, was the last painting created by the French artist in 1873. Displayed in the National Art Gallery in Washington and now also in your home! A sombre illustration that can bring a calming and tranquil atmosphere to your home. Ideal for creating a great feature piece in your living or dining room. Choose the size that best suits the space you want to decorate.